Photo courtesy of Pixnio. CC0/Public Domain. European cities by and large have a sterling reputation when it comes to walkability and public transportation. Recent data compiled by Ralph Buheler, John Pucher and Alan Althauser in the International Journal of Sustainable Transportation show that between 1989 and 2015, across 10 Western European cities, bicycling increased by 4.5 percent and walking by 3 percent, while car usage declined 7.5 percent. But perhaps contrary to popular belief, public transport did not fare nearly as well. At a time when the 10 European cities surveyed grew 18 percent, the percent of people using buses, metro, trams, rail and other public transit options increased just 0.6 percent on average. Some cities, like Berlin, Hamburg, Munich, Amsterdam and Copenhagen even saw small declines in public transport use, between 4 and 1 percent. Only in Vienna did public transport use improve markedly, increasing by 10 points between 1993 and 2012. Why? Buehler et al. conclude that Vienna’s outlier status is largely the result of a remarkable continuity of politics, policies and transport planning. Social democrats governed the city in coalition with other parties from 1945 to 2010, with a tradition of strong support for labor, social housing and public transport. In 2010, the Green Party took over, but with similar commitments to environmental protection, bicycling, public transport and walking. Important breakthroughs during this period included beginning construction of the underground metro in 1968 and cancellation of plans to build downtown expressways in the 1970s after community opposition. What’s more, Vienna’s master plans were implemented. From 1990 to 2015, the U-Bahn metro system was doubled to 80 kilometers of track and wait times were reduced to between two and three minutes during peak hours. At the same time, the supply of the tram network, the backbone of the city’s public transport system, expanded by 50 percent in terms of seat-kilometers. There are now 28 tram lines and 423 kilometers of tracks, serving more than 1,000 stops. This is complemented by 43 daytime bus routes, 23 nighttime bus routes, and 10 regional rail lines, with 181 stations. These modes are integrated at various levels, including through common fares, operation, branding and a single data network that provides real-time information on all services. User fare revenues (€480 million per year, or about $560 million) cover about 55 percent of transit operating costs. The remaining 45 percent comes from a public transport tax on large employers, similar to the France’s Versement (about €100 per employee per year, €70 million) and fees from on-street parking and city-owned parking garages (around €100 million per year). These fees can only be used for public transport, park and ride, parking garages, and bicycling. 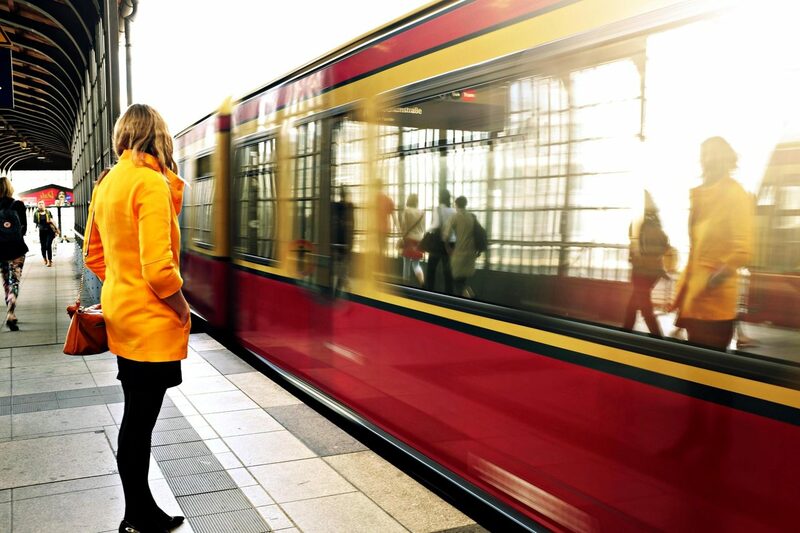 Public transport in Vienna also receives strong financial support from the federal level: 50 percent of the capital expenditures for the U-Bahn, 100 percent for regional investments, and 100 percent for the administrative and planning costs of the regional coordination authority. The city also receives general revenue sharing funds from the federal government to the tune of twice as much revenue sharing per capita compared to the average for Austria. The special treatment is justified by the multiple federal, economic and cultural functions provided by the capital. Buoyed by this support, the city is able to keep fares very affordable. In 2012 the yearly pass cost was reduced by 20 percent and the monthly pass by 10 percent. There are also senior and student discounts. The authors report that fare cuts resulted in increased ridership, with transit ridership increasing from 36 to 39 percent following fare cuts. On top of improved supply of public transport, integration and low fares, Vienna has a strong parking management system. Since 1993, the city introduced parking management in its central district, controlling the supply of parking spaces, charging strong parking fees and strictly enforcing violations. There was strong opposition at first, but the benefits of reduced congestion and making it easier to find a parking spot (for residents and those willing to pay), resulted in widespread support. By 2016, 16 of the city’s 23 districts had parking management. Like other European cities, Vienna has taken steps to curb car usage and improve the experience for pedestrians and cyclists. But unlike other European cities, Vienna has also had remarkable political continuity and federal support for public transport. It has taken more than 60 years, but consistent leadership has allowed the city to develop a comprehensive suite of sustainable transport options that is encouraging more compact, coordinated and connected development while enjoying widespread support from residents and multiple political parties. Dario Hidalgo is Director of Integrated Transport at WRI Ross Center For Sustainable Cities. Source: The City Fix.